Young adults, more than any other group of readers, are choosing blockbuster American fiction over work from local writers. Considering that Australian YA fiction is otherwise in great shape, is the problem a lack of awareness? Ellie Marney – one of Australia's best-selling YA authors – explores grassroots initiatives, like #LoveOzYA, designed to encourage teen readers to value and champion Australian writing. In May, when the Australian Library Information Association released its ‘most-borrowed books’ list, it threw light on what young Australians are reading – but the findings weren’t encouraging for local writers and publishers. 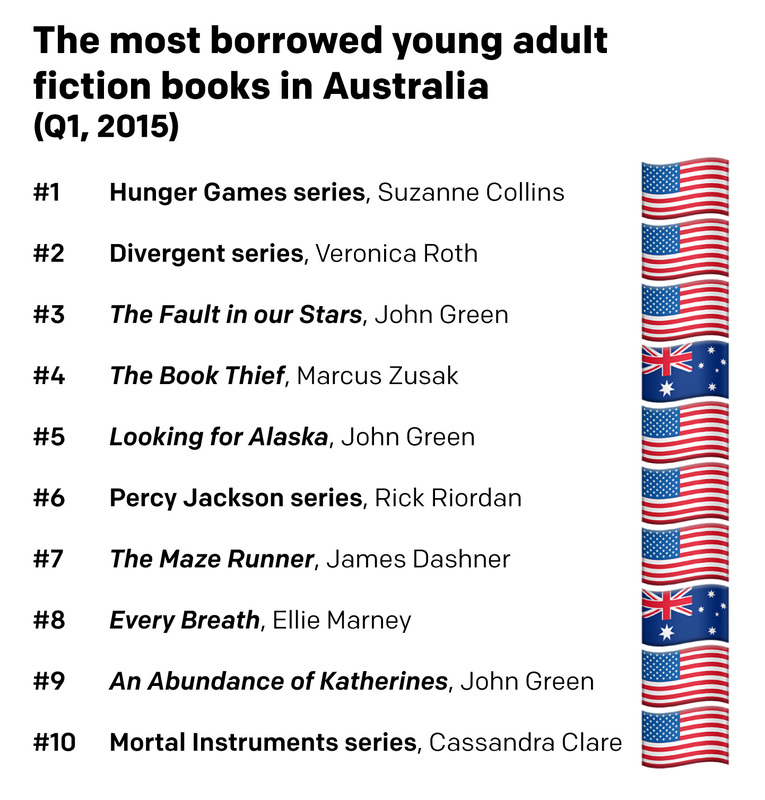 Of the top ten most-borrowed Young Adult titles in Australian libraries, only two were works by local writers. Overwhelmingly, it seems, local teenagers are reading internationally-based – and predominantly American – authors. The fact that the statistics came from libraries was even more revealing, because public libraries are environments where teenagers have relative autonomy over their reading choices. Even if you remove factors like cost, Australian teenagers are still choosing stories from elsewhere. Maybe, one argument runs, it’s a good thing that Australian teenagers are looking beyond their own shores. Or maybe it’s only to be expected that teens seek out stories far removed from their own experience. Isn’t the desire to roam, after all, one of the hallmarks of youth? Isn’t it natural for teen readers to seek out stories set in far-flung realms, or on other planets, or in the back streets of busy cosmopolitan cities, or with characters who live large as space marines, or dancers, or detectives – roles that teenagers can only aspire to? The truth, though, is that Australian YA authors write all these stories and more. Australian YA is not parochial or limited in scope, but multi-faceted and wide-ranging. Apparently, though, even if you poured books on top of their heads, Australian teenagers would still reach for overseas literature to hear those stories told. Despite all their great work, what are local authors and publishers doing wrong? If you look at the issue closely … nothing. Australian YA fiction is some of the best in the world, by all reports – but because Australian books compete in our market with overseas titles, the odds could be stacked as high as nine-to-one against, in terms of the sheer quantity of books on shelves. That’s pretty solid competition. It’s not great for the health of local publishing, and as YA author Emily Gale ominously points out, ‘if Australia can’t look after its nice things, it won’t get to keep them’. Probably the most significant issue is, if Australian teenagers are primarily reading overseas YA, they are rarely seeing themselves reflected in the literature they read. When a number of the authors longlisted for the teen-judged Inky awards were asked why it’s important that Australian teenagers have access to locally-produced YA fiction, the answers were largely unanimous. Perhaps if we throw some energy into supporting the YA literature that’s being written in this country, the next time we ask teenagers what they like to read, the answer will be ‘something local’. Ellie Marney is a teacher and Young Adult author who specializes in crime and all things involving dastardly mystery. 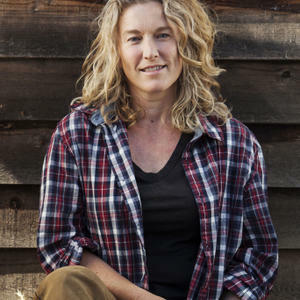 Her highly-awarded adult short stories have been published in Australia and the UK, and her debut YA crime thriller Every Breath (Allen & Unwin, 2013) is followed by two sequels, Every Word (June 2014), and Every Move (March 2015).